Yesterday we talked about checking off the days you practice on a chart. 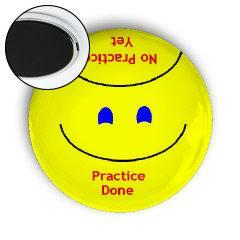 Try to never miss a day of practice. 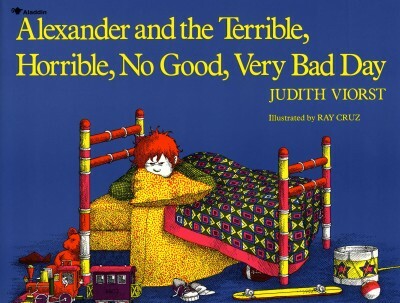 There will be times that you are tired, in a bad mood, or maybe you can sympathize with Alexander. Click the cover to have a look at the book. He wakes up with gum in his hair. At breakfast, Alexander's brothers Nick and Anthony pull amazing prizes out of their cereal boxes, while all Alexander ends up with is cereal. Things get even worse at school, so Alexander decides that he wants to move to Australia! In Australia, everything is upside down, so maybe a terrible, horrible, no good, very bad day can become a wonderful, terrific, really good day. Maybe you can do that with practice. 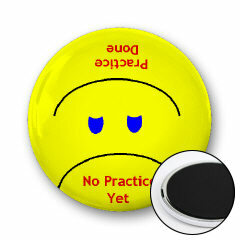 A backwards practice! Do everything exactly backwards (except for rosining the bow and cleaning off the violin at the end of the practice). If that won't work, remember that even 5 minutes is better than nothing! And make those 5 minutes something fun! Click either picture to have a look.